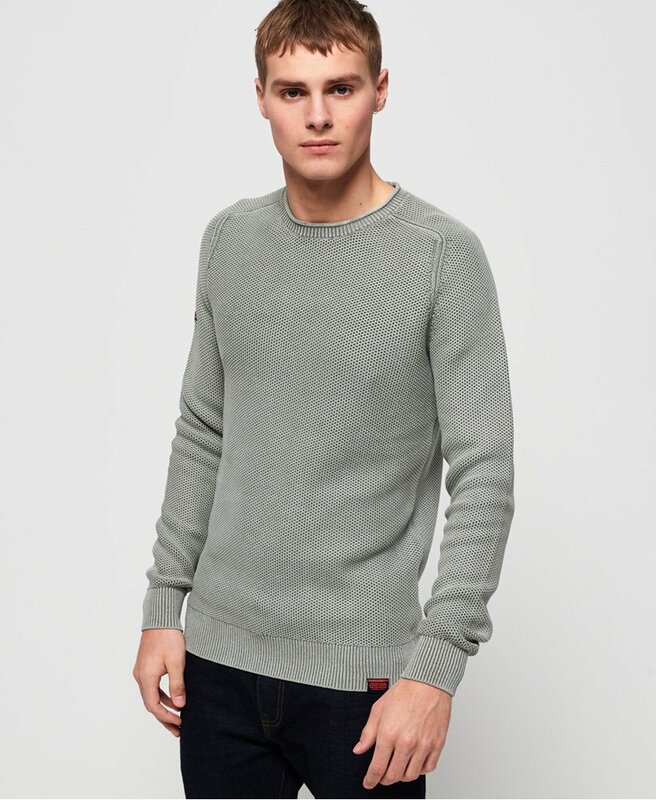 Superdry men's garment dyed L.A textured crew jumper. A classic crew knit featuring a ribbed collar and cuffs and small logo tab on the hem. This jumper is completed with a Superdry logo badge on one sleeve. Style with slim jeans and bomber jacket for a great layered look.